Stock status is current as of 4/21/2019 11:59 PMET. 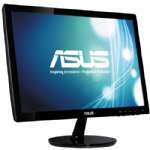 Enjoy latest games and action packed video with the Dell SE2417HG 24� Class LED Gaming Monitor. Its 2ms response time along with 56 - 76 Hz vertical refresh rate delivers high smooth and lag-free videos for a live gaming experience. 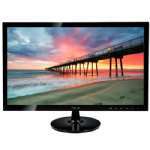 The 23.6� anti-glare wide-screen LED display gives out full detailed visuals at 1920 x 1080 resolution and with up to 300 cd/m� brightness. With 16.7 million colors and 8000000:1 dynamic contrast ratio, it ensures to display a true to life like color shades on the screen. The tilt function enables to adjust the monitor to get a perfect viewing angle. This monitor consumes only 25 Watts during operation and 0.3 Watts during standby, qualifying it for Energy Star. 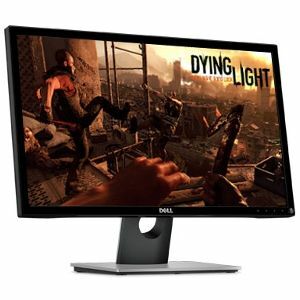 Order the Dell SE2417HG 24� Class LED Gaming Monitor at the earliest! 21.9" x 13" x 2.2"
21.9" x 16.6" x 7.1"